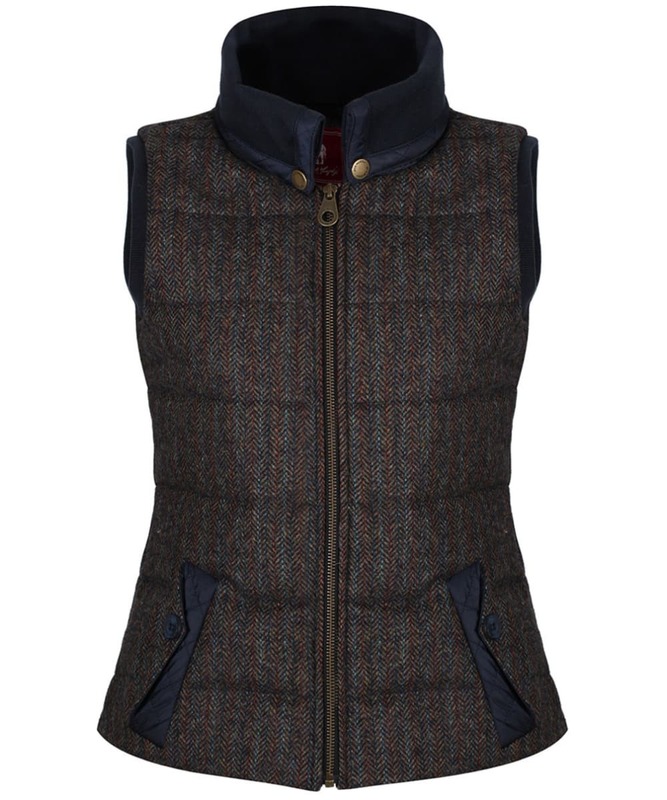 Bursting with country charm, we think that any stylish lady is sure to love the Women's Jack Murphy Malory Tweed Gilet. 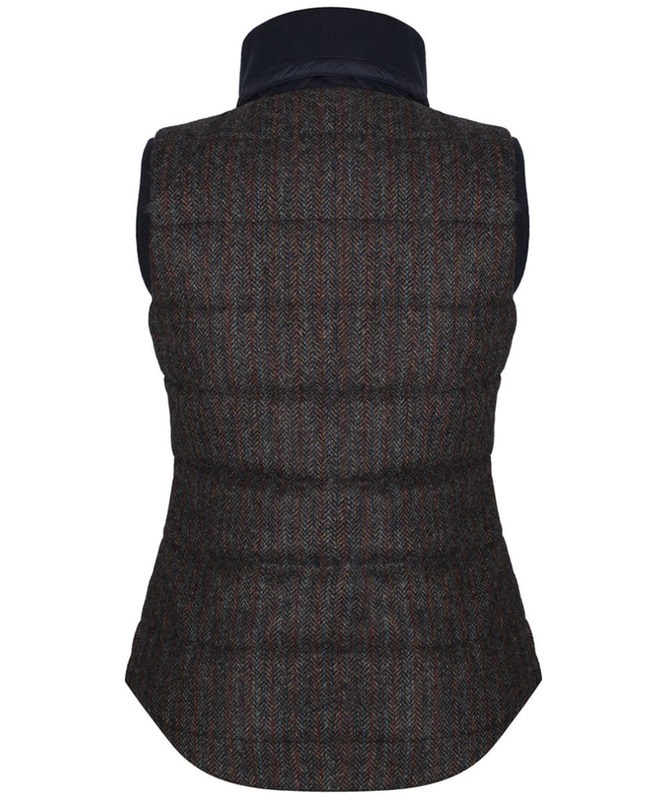 Crafted from the highest quality 100% Shetland wool for that premium feel and beautiful tweed look, this gilet is perfect for placing over your favourite Jack Murphy sweater to complete your on-trend attire with ease. Lined with incredibly soft faux fur for a cosy, warm feel, this gilet is perfect for heading outdoors when the weather starts to get chilly, with the funnel neck and full front zip fasten sure to keep those chilly winds at bay. 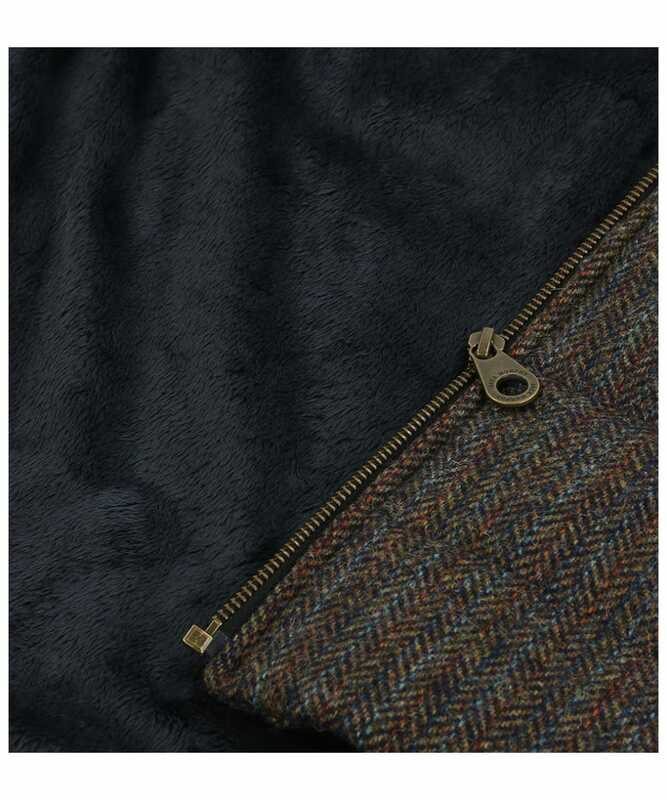 For that added touch of practicality, the Malory has two front pockets that provide the ideal place to store your personal essentials whilst you are out and about. 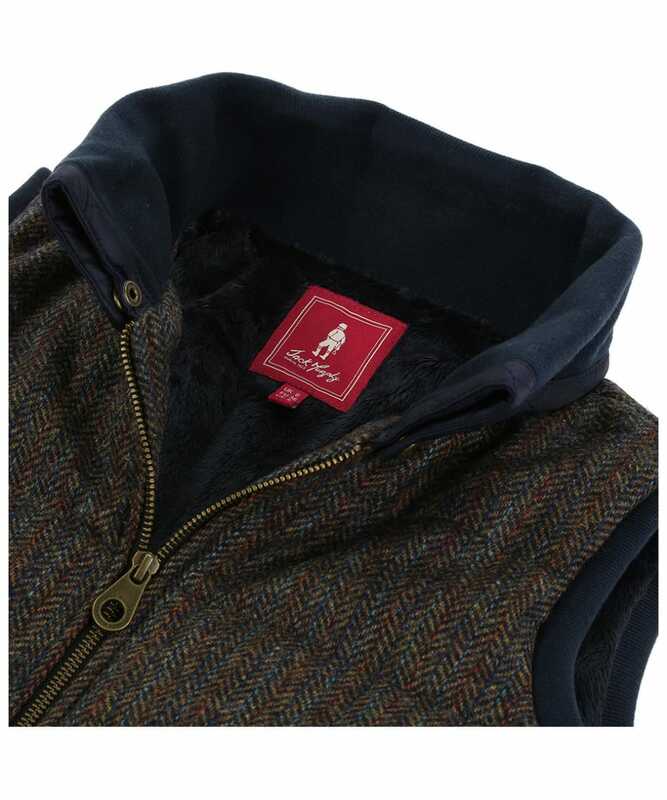 Finished with signature branding for that mark of quality excellence, this Jack Murphy Tweed Gilet is an essential piece for your wardrobe.